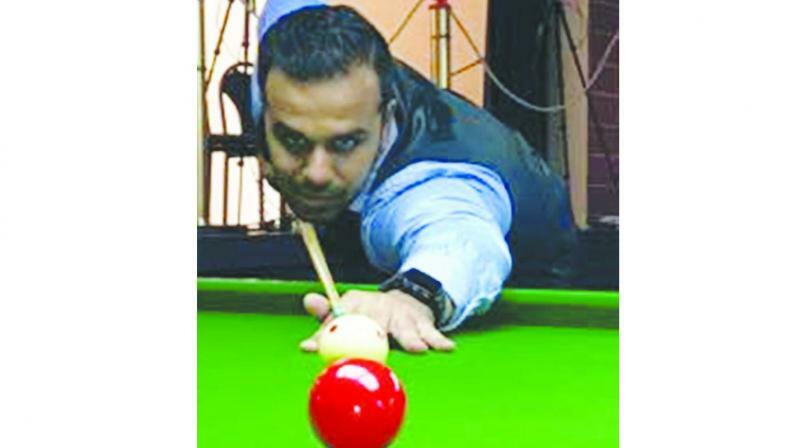 Pune: Vignesh Sanghvi the lone contender from Pune recorded a fluent 3-1 against Rayaan Razmi of Mumbai in a Senior Billiards best-of-5-frames (race to 100 points) Group-D concluding league match of the Maharashtra State Senior Snooker & Billiards Selection (leg-1) Championship 2018 and played at the Poona Club and Deccan Gymkhana. The Pune cueist was in complete control and posted a 100-36, 100-32, 74-100 and 100-33 victory for his second win in the group and earned a place in the quarter-finals. In another Group-D encounter, Carl Serrao of Mumbai overcame his young Mumbai opponent Rayaan Razmi 3-1 (100-36, 100-32, 74-100 and 100-33) also for his second win and finished second in the group and joined Sanghvi in the last eight. Meanwhile, Mumbai challengers Rishabh Kumar and Hitesh Kotwani were both in solid form and easily won their respective matches to finish in top position in Group-B and Group-C respectively. Kumar showed excellent control and patient and constructed an unfinished 92 break in the third frame as he raced past Mumbai’s Amit Sapru 3-0 (100-14, 100-57, 100-4) to advance into the next round. Kotwani displayed a lot on consistency as he compiled breaks of 70, 61 and 71 and outplayed his city mate Chandu Kansodaria 3-0 (100-35, 100-44 and 100- 68). Kreishh Gurbaxani of Mumbai finished with an all-win record as he defeated his Mumbai rival Amit Sapru 3-1 (100-34, 100-68, 92-100, 100-86) to finish top in Group-A and make it to the quarter-finals.